This tragicomedy begins when a man wakes up with a low ringing sound in his ears and discovers a cryptic note on his fridge "Your friend Luigi has died. P.S. I took the car." 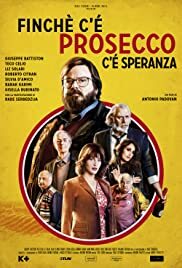 The film follows Inspector Stucky investigating a series of murders and the theatrical suicide of Desiderio Ancillotto, a count who lives in the hills of Conegliano and Valdobbiadene, in a story that recounts the conflict between greed and respect for the land.